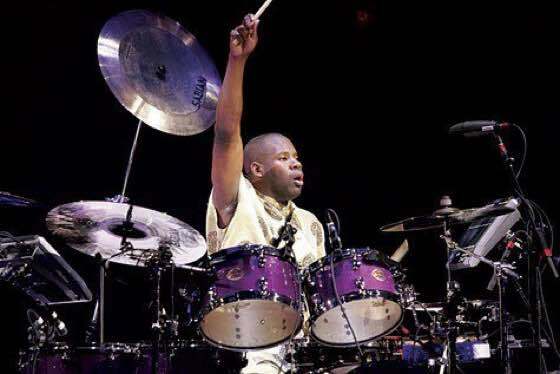 Drummer John Blackwell Jr. has passed away at the age of 43 following a battle with cancer. He was best known for his work as Prince's long-time beatkeeper, performing in his band the New Power Generation. Blackwell Jr. was born in Columbia, SC, in 1973, and began his music career drumming for Patti LaBelle in 1998, before joining the New Power Generation in 2000. Blackwell Jr. also performed with Justin Timberlake during his FutureSex/LoveSounds tour in 2006, and was a member of D'Angelo's backing group the Vanguard. His wife Yaritza confirmed the news of his death yesterday (July 4), saying he "passed the way peacefully in my company today." She went on, "Thanks God for his life and thanks everyone for their support." Blackwell Jr. was initially diagnosed with brain tumours in 2016, and a GoFundMe page was set up to support his medical expenses while he was unable to work. Many from the music community have offered their condolences. Read some of those messages below. We lost another brother... John Blackwell made his transition today!! !